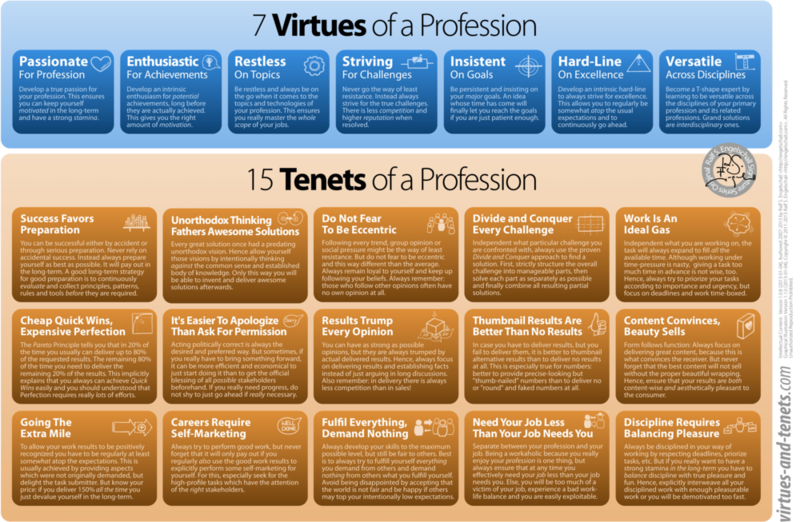 There are many virtues and tenets you can follow in your profession. Explicitly knowing them can better guide you through the challenges and decision makings of your daily job. Any particular set of virtues and tenets is highly subjective. 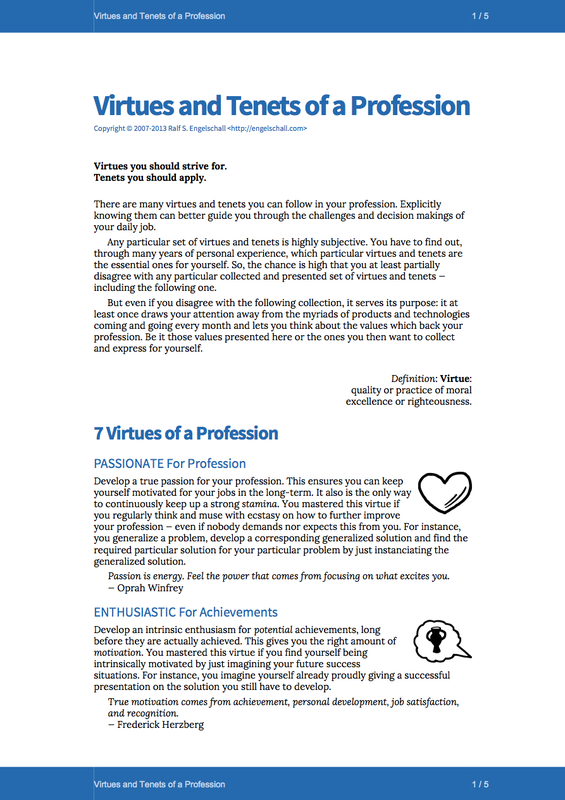 You have to find out, through many years of personal experience, which particular virtues and tenets are the essential ones for yourself. So, the chance is high that you at least partially disagree with any particular collected and presented set of virtues and tenets — including the following one. But even if you disagree with the following collection, it serves its purpose: it at least once draws your attention away from the myriads of products and technologies coming and going every month and lets you think about the values which back your profession. Be it those values presented here or the ones you then want to collect and express for yourself. Copyright © 2007-2013 Ralf S. Engelschall, All Rights Reserved.